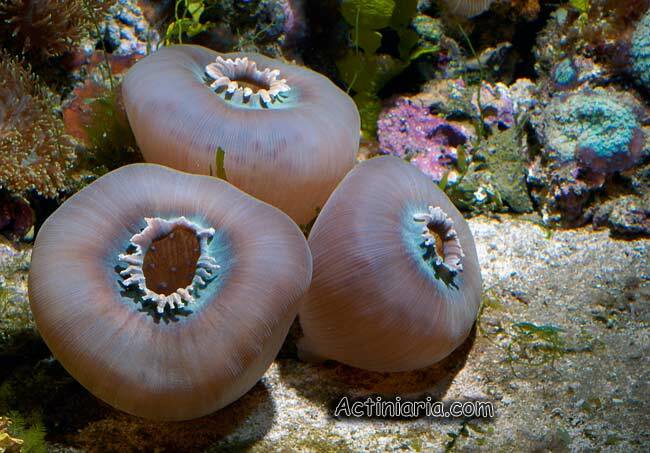 This is the largest species of Corallimorpharia, some specimens may reach 40-45cm diameter. The specimens on the photo are relatively young and only about 10cm. 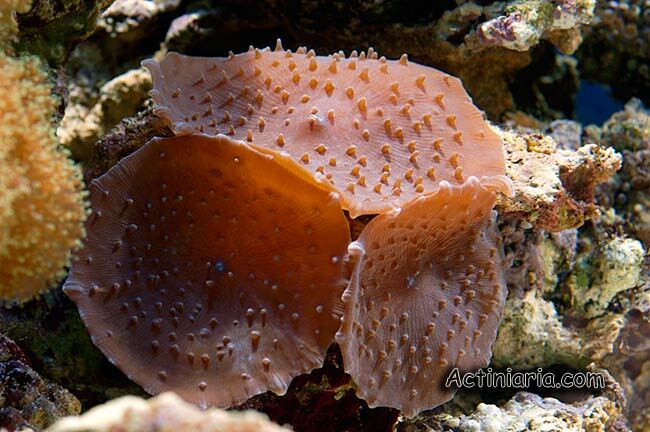 The species is characterized by absence of the marginal tentacles (the lobes on the margin of the disc are not the tentacles in our opinion) and simple cone-shaped discal tentacles. There is usually distinct bare zone on the disc separating peripheral discal tentacles from more central discal tentacles. 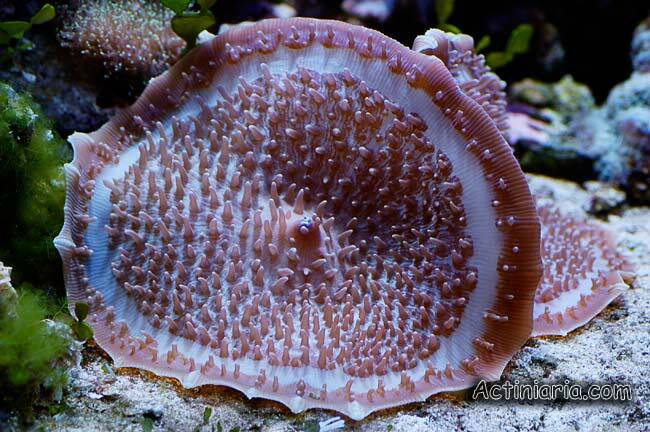 Amplexidiscus can catch fish in aquarium.